Sophia NS Blair, Esq. is the founder of SNSB Law Firm, PLLC. Ms. Blair obtained her B.A. degree in Political Science with a focus in International Comparative Politics from the University of Central Florida. Upon graduation, Ms. Blair attended the University of Florida: Levin College of Law where she served as the Editor-in-Chief of the University of Florida Journal of Law and Public Policy, worked as a representative for Westlaw Student Services, and held leadership positions in several on-campus organizations. 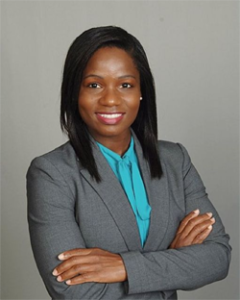 After obtaining her law degree in 2009, Ms. Blair worked as an intern in the Appellate Division of the Public Defender’s Office in West Palm Beach. Upon completion of her internship, Ms. Blair worked as an appellate attorney in a boutique appellate firm. In addition to her appellate law career, Ms. Blair has worked as a title attorney for several years. Ms. Blair has a penchant for the law and enjoys solving complex legal issues. Ms. Blair is also regarded by family and peers as the "Healthy Attorney." She believes that the key to good health is developing sustainable healthy habits. She shares tips, food recipes, and health related information via thehealthyattorney.com. She encourages everyone interested in health to join the THA Community.